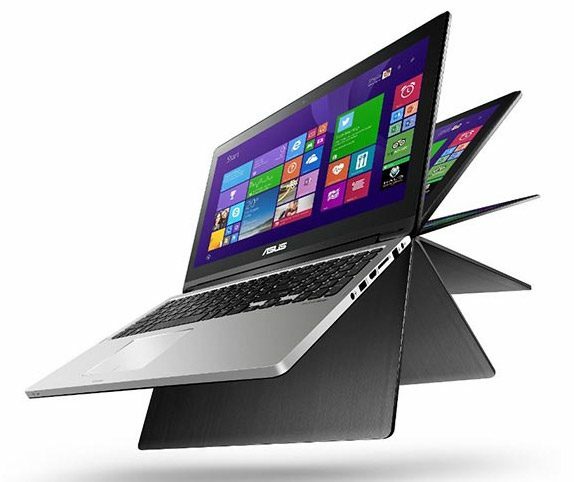 The Transformer Flip series is Asus’s new line of mid-level laptops powered by Haswell hardware. With prices starting at around $500, the Flip line stretches from 13.3 inch to 15.6 inch laptops, available in a multitude of configurations. Thus, if you’re after a decent laptop with a touchscreen and the latest hardware platforms, there’s a fair chance you’ll find a Transformer Flip that’s going to tick all the right boxes for you. The Flip name comes from the 360 degrees convertible screen, the same form factor that Lenovo pioneered and then made famous with their Yoga line. This particular aspect makes these laptops quite versatile, as you’ll be able to use them as standard clam-shell devices, but also as a tablets or several things in between (stands, tents, etc). And when you add the good-quality panel, the fast hardware and the nice design, these Transformer Book Flip notebooks might actually rise fast to the top of the most-wanted lists in the second part of this year. We’ll see how good these Flips actually are in some future reviews. For now, let’s have a look at the specs and some early first impressions, and I’ll also add my personal thoughts on this line down below. Update: I did review some of the Asus Transformer Book Flips here on the site. You can read all about the 13 inch TP300 model over here, but also about the 15.6 inch TP500 model via this link. The Flip TP300 is also available as the Flip Q302LA in some US stores, but the TP300 has a Silver body, while the Q302LA has a Black one, also made from aluminum. The Transformer Flip TP450 is similar to the TP300, but has a larger 14 inch screen and is slightly heavier. The TP550 is an even larger unit, with a 15.6 inch IPS screen. 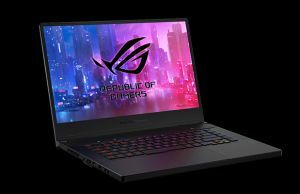 It weighs roughly 5 pounds and the top configurations can be equipped with optional Nvidia 840M graphics chips. The Transformer Flip TP500 is another variant of this form factor, with an even thicker and heavier full-plastic body (5.7 pounds), an HD 1366 x 758 px TN touchscreen and an optical unit. My full review of the Transformer Flip TP500 is available over here. All these configurations will be available in European/Asian stores by late June and probably a bit later in the US. The TP300 will start at 449 pounds in the UK, which translates in roughly $500-$550 in the States, while the larger TP500 will start at around 550 pounds ($600-$650 – see this link for up-to-date prices). Update: I’ve reviewed two members of this series, the more compact 13 inch Asus TP300 and the larger 15.5 inch Asus TP500. Check out the posts for more details, as well as the clip below. There’s not a lot we can say about these Transformer Book Flips right now. In fact, only the 13 inch model, the Flip TP300 was showcased at its launch event at Computex and the video hands-on below from Mobilegeeks.com will shows you exactly what to expect from it. There are also a few other pictures here and I’ll keep an eye out for more info and update this section once more details pop-out. 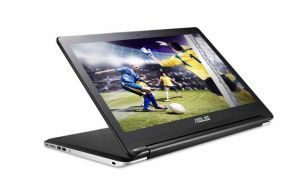 Asus did a good job with their Vivobooks in the past, which proved to be very solid options the money, and the Flips will continue on the same line. In fact, they will probably replace Vivobooks for good in the next months. The Flips do offer the flippable form-factor as their main novelty, which however leads to thicker bodies and increased weight, so it’s not necessarily as great as it might seem on a first look. 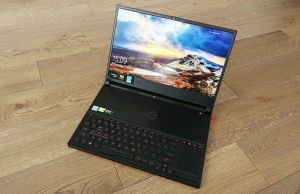 Yes, the fact that you can rotate the screen to 360 degrees has its advantages, but actually using these devices in anything else than standard laptop mode might not be that comfortable, given how they are rather bulky and not that light (even the smaller 13.3 inch version weighs roughly 3.8 pounds). However, this approach means that the screen can lean back completely flat, and that’s going to be very useful for couch use. If we look past the form-factor, these Transformer Book Flips are definitely not bad. They don’t have a compact footprint, but they look and feel alright. There’s an aluminum inner body and a brushed sheet of metal covering the screen, while the belly is made from plastic, just like on Vivobooks. There’s a fair selection of ports around the sides, including a volume rocker on a Windows Start button, and there’s also a nice chiclet keyboard and a spacious trackpad, which appear to me identical to those on the Vivobook S301 that I tested a while ago. Hardware wise, not much has changed either. 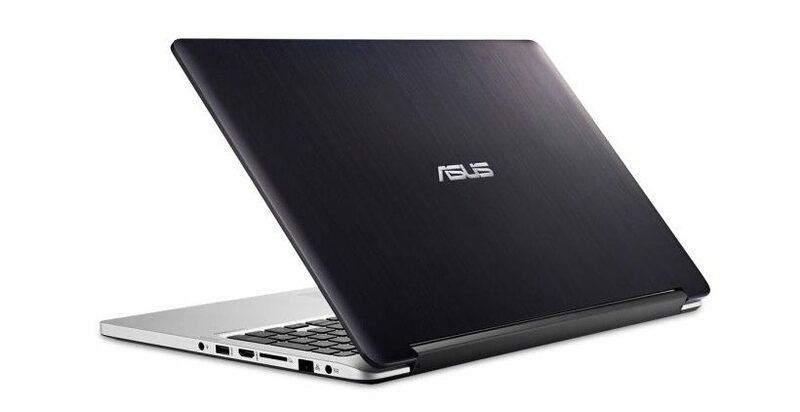 Asus will have a vast number on configurations available for these Flips, with either Core i3/i5 or i7 Haswell processors, up to 8 GB of RAM and various storage solutions, but also optional dedicated graphics on some versions. The RAM is probably going to be soldered on the motherboard, but the storage drive should be easily swappable for a similar 2.5 inch 7 mm unit. We’ll see. Other from that, I do appreciate the increased battery size. The Vivobook S301 only packed a 38 Wh battery, while the Flip TP300 will pack a larger 58 Wh battery, which should push even the beefiest configurations to 6-7 hours of daily use. And I do appreciate the smaller prices. But we’ll have to wait for the Flips to land in stores before judging them; for now, we only have some rumors and speculations to comment on. 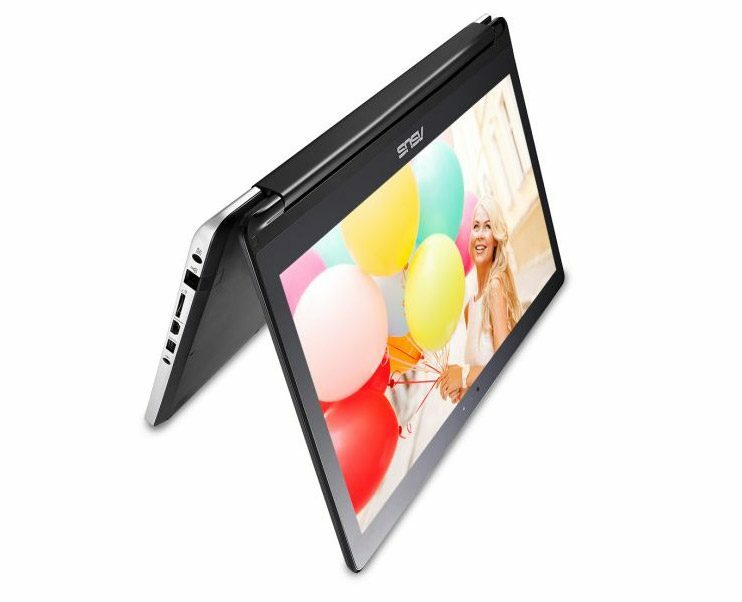 The larger TP400, TP500 and TP550 ultrabooks will not be a lot different than the 13 inch model. Yes, they will be bigger and offer a few different features and hardware configurations, but that’s about it. Still, if a 13 inch laptop is too small for your liking, it’s good to know you have other options to choose from. 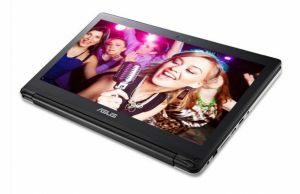 All in all, the Asus Transformer Book Flip line is probably going to become quite popular in this second part of this year. You can think of these Flips as upgraded, more versatile and more affordable Vivobooks. And given how Vivobooks like the X202, the S400 or the S301 received positive feedback in the last years, I can’t see why the Flips won’t be just as appreciated. 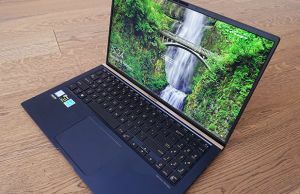 Of course, more thorough reviews will shed light on the yet unknown aspects of this new series, like how good the keyboard is, what to expect from that screen or whether there are any hidden flaws that might steer you away from these Flips towards competitors like the Acer Aspires or the Lenovo IdeaPad Flex notebooks. Hopefully, I’ll have my review units soon enough and I’ll be able to tell you a lot more about these devices then. My detailed review of the Book Flip TP300 is here and I also tested the bigger Transformer Book Flip TP500, so go ahead and have a look. 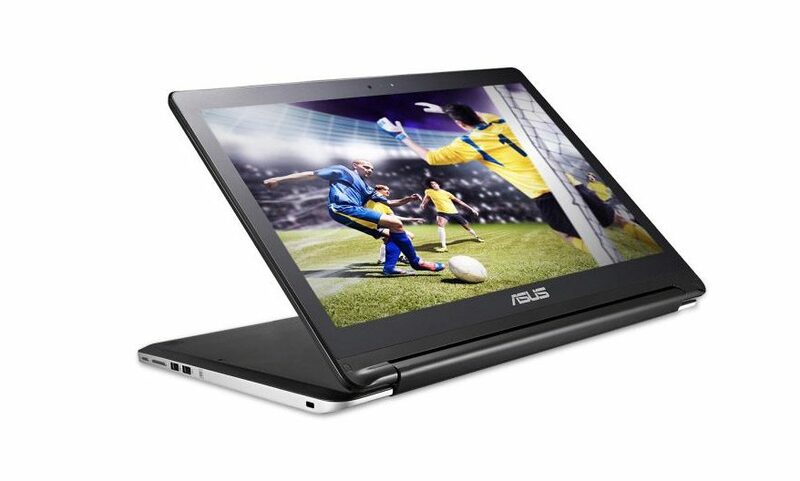 In the meantime, let me know what do you think about the Asus Transformer Book Flips in the comments down below. Are they something you’re interested in? Or you’d rather spend your hard earned buck on something else? thanks, how easy is it to upgrade hard drive to ssd? is there a limit on size as Asus seem to limit at 128gb and i would need at least 250gb. Any recommemded ssd drives? It’s not complicated, however it looks like in some regions upgrading the storage drive will void warranty. See the Hardware upgrade section in this review for more details: https://www.ultrabookreview.com/4436-asus-transformer-book-flip-tp300-review/ and then check out if your laptop has the small yellow seal mentioned there or not. Any SSD size should work just fine. I’ll have a list with compatible SSDs soon enough, but any 2.5″ 7mm drive should work fine. I am interested in the TP 450, but can’t find it anywhere online for sale. Can you suggest a place where I can purchase it at the best price? Thanks. I don’t think they made the 14 inch model widely available in the end, just the 13 and the 15 inch models. hi, Icannot find and am still looking for an outlet to purchase the tp450. Can you suggest one with the best price please. Thanks. 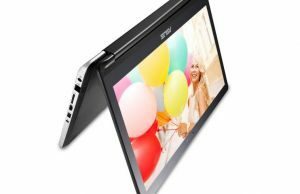 LENOVO YOGA 510 14″ 2 in 1. I am a university student and portability is very important.